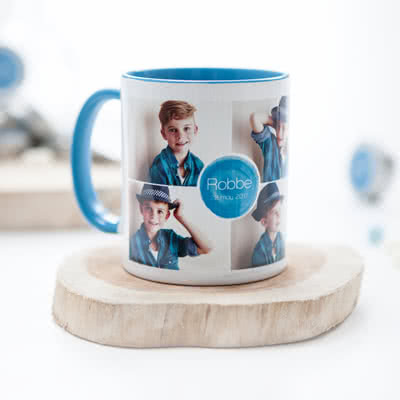 Design a personalised Photo mug in porcelain from Smartphoto. Create your mug with photo, print, name or slogan - with our without colour on the inside of the mug. We also have Magical mugs that display your photo when filled with hot liquid. A Photo mug is a perfect gift for mothers and father’s day, or Christmas and birthdays. Design a personalised Photo mug in porcelain from smartphoto. Create your mug with photo, print, name or slogan - with our without colour on the inside of the mug. We also have Magical mugs that display your photo when filled with hot liquid. A Photo mug is a perfect gift for someone you love, or it will become your personal favorite mug!